Exactly 100 years ago on Sunday – November 11, 1918, at 11 a.m. (“the eleventh hour of the eleventh day of the eleventh month”) – the Allies and Germany signed the “Armistice of Compiègne” at Compiègne, France, formally ending World War I. The actual terms, mostly written by Allied Supreme Commander Marshal Ferdinand Foch, included the cessation of hostilities; the withdrawal of German forces to behind the Rhine; Allied occupation of the Rhineland; the surrender of aircraft, warships, and military material; and the release of Allied prisoners of war and interned civilians. Although the Armistice ended the hostilities, it needed to be prolonged three times until the Treaty of Versailles, which was signed on June 28, 1919 and became effective January 10, 1920. Had there never been a World War II, the “Great War” would be remembered today as the war that ravaged Eastern European Jewry. At the commencement of the war in 1914, approximately 70 percent of the world’s Jews lived in Europe, and the war proved to be an unmitigated disaster for virtually all of them, as some 100,000 Eastern European Jews were killed during the war and shortly thereafter, 600,000 from the Russian Pale of Settlement and Austrian Galicia were murdered or uprooted, and entire communities were destroyed, never to be rebuilt. Moreover, by no means did the war end for Jews on November 11, 1918. WWI wound up having catastrophic consequences for Jews, notwithstanding their incredible loyalty to their host nations and their exemplary military service. 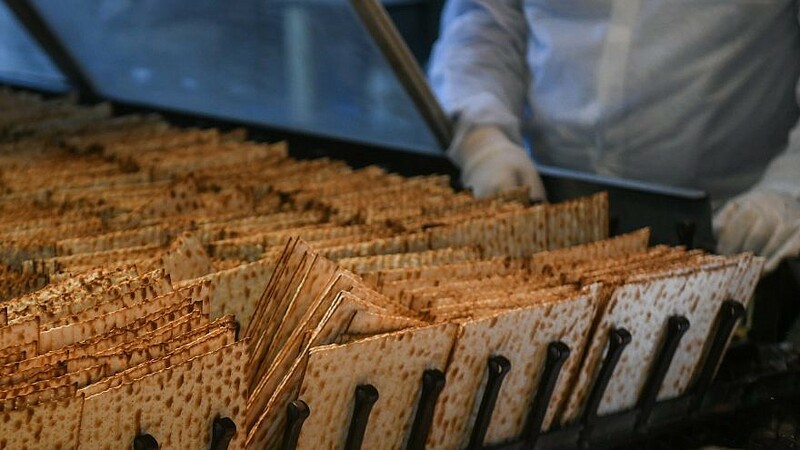 For example, about 100,000 Jews – fully 20 percent of the entire German Jewish population! – served in the Kaiser’s German Imperial armed forces. Approximately 12,000 of the 70,000 Jews who fought at the front line were killed in action, and 35,000 were decorated for bravery. An amazing 18,000 were awarded the Iron Cross. The second is a “Prayer offered up in the Synagogues of the Spanish and Portuguese Jews on July 6, 1919 (8 Tammuz 5679) as the official Day of Thanksgiving on the Signing of the Treaty of Peace.” The official name of the synagogue where this prayer was said is “Kahal Hakodesh Sha’ar Hashamayim,” but it is today widely known as the Bevis Marks synagogue, famous for being the only European synagogue in continuous operation for over three centuries and for being home to the renowned Moses Montefiore. WWI thus unleashed a wave anti-Semitism and restrictive immigration laws that cut off, or severely limited, Jewish entry at a time when conditions for European Jewry had become particularly dire due to pogroms and evictions, which in turn led to mass starvation. The war on the eastern front was conducted in zones populated by four million Jews. Some 600,000 Jews were expelled from the front and, as the Russians conducted their military operations, they banished many more, leading to additional waves of Jews seeking escape to the west ahead of deportations and massacres. Though a vicious civil war divided nationalist Ukrainians, Bolsheviks, and anti-Bolsheviks, they were somehow able to unite in committing atrocities against Ukraine’s one million Jews. After the Czar’s government collapsed in 1917, the Russian revolution of 1918 led to a new communist war against Jews and Judaism. Meanwhile, in the United States, quotas were enacted limiting Jewish immigration, with the despicable Johnson Reed Act of 1924 remaining in effect through the 1930s when Jewish refugees desperately sought to escape Nazi Germany. To aid their displaced and impoverished fellow Jews, Jews around the world established welfare organizations on a scale never before seen. 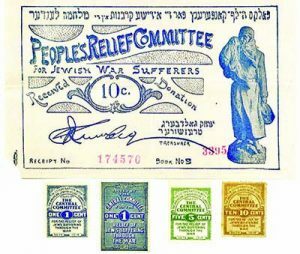 Shown here is a receipt for a donation and four labels issued by the People’s Relief Committee for Jewish War Sufferers (PRC). In June 1915, a group of secular Yiddish-speaking Jews met to discuss the formation of the PRC, which was officially launched on August 8, 1915 by a committee consisting of representatives from labor and socialist groups, lodges, trade unions, Workmen’s Circle branches, and a few radical groups. The new organization was designed to specifically appeal to those who could only afford to make only modest donations, a group that had not previously been the target of fundraising efforts. The PRC also sent money and supplies directly to various communities, notwithstanding the traditional socialist enmity for charity in general and their belief that philanthropy was anti-labor, because PRC members recognized that the scope of the emergency mandated setting aside those core principles. Its fundraising efforts consisted principally of man-on-the-street collections and house-to-house solicitations. Membership drives signed up over 300,000 PRC members across the United States and Canada and generated hundreds of thousands of dollars each year, mostly from penny, nickel, and dime donations. The Jewish effort to save European Jewry post-WWI came to an immediate head with the signing of the Armistice and the Allied victory in the Great War. 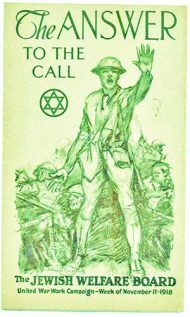 Shown here is a Jewish Welfare Board pamphlet, “The Answer to the Call, United War Work Campaign – Week of November 11, 1918,” which was hastily printed so that Jewish organizations could hit the ground running after Armistice Day. The artwork, though uncredited, is undoubtedly by famed Jewish artist Arthur Szyk. A common interest in humanitarian work bolstered a deep friendship and political partnership between Herbert Hoover and leading members of the Jewish community, and Hoover’s political career began when he was asked by President Wilson to direct America’s WWI relief effort in Europe, which he took on without pay. After the Armistice, Hoover, a member of the Supreme Economic Council and head of the American Relief Administration, organized shipments of food for the starving millions of Europe, and his efforts on behalf of Jews earned him a reputation as a special friend of the Jewish people and a champion of Jewish rights. This letter will introduce you to Mr. J.N. 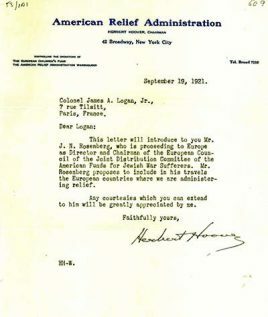 Rosenberg, who is proceeding to Europe as Director and Chairman of the European Council of the Joint Distribution Committee of the American Funds for Jewish War Sufferers. Mr. Rosenberg proposes to include in his travels the European countries where we administer relief. Any courtesies which you can extend to him will be greatly appreciated by me. Rosenberg (1875-1970) was a true polymath; a renowned lawyer, painter, writer, and philanthropist who left his practice in 1921 to serve full-time as JDC Chair – Europe. His achievements include leading an organization that relocated 300,000 Soviet Jews to Crimea (1924) and heading the U.S. committee that led to the passage of the UN Genocide Convention in 1948. Closing on a positive note, many scholars argue persuasively that the rebirth of Israel had its roots in World War I, beginning with the alliance between the Zionist movement and the British government, which led to the Balfour Declaration in 1917 – but that is a broader discussion best left for another day.